The Rev. Al Sharpton says he plans to return to Ferguson to continue to pressure St. Louis County prosecutor Bob McCulloch to file criminal charges in Michael Brown’s police shooting death. Sharpton’s National Action Network announced his planned visit Saturday at a New York rally. Sharpton delivered the eulogy at Brown’s funeral and later joined Brown’s family at news conferences in Ferguson, Atlanta and Washington. 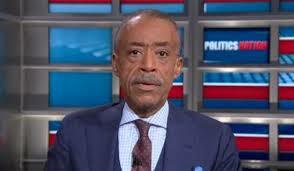 Details of Sharpton’s four-day visit have not yet been announced. He’s expected to arrive on Oct. 31 and remain through Nov. 3, one day before the general election. It’s not a stretch to believe that Sharpton’s trip is being orchestrated by the White House. Previously, it was reported that Sharpton was acting as a White House advisor regarding the social unrest in Ferguson following the death of Michael Brown. By connecting the dots between White House concerns about black turnout and Sharpton’s trip, it’s clear his goal is to exploit the racial volatility in Ferguson to get black voters to the polls. Exploiting racial tension and a tragic death for political gain is reprehensible but unfortunately is predicable when you consider the characters involved.